We all know that the many fabrics sold on this website can be used to create a wide variety of different clothing patterns and styles, but that’s not all that they are useful for. With a touch of creativity many of them can also be used to add an extra touch of magic to more mundane everyday items. 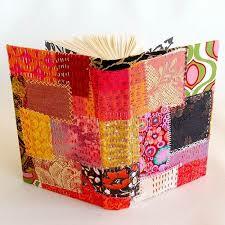 Take scrapbooks for example. We all love to keep photographs of our most treasured memories and the classic scrapbook is one of the best ways to keep a track of all the people and places that make our lives great. So why not add an extra little spark to your by using your spare pieces of fabric to decorate and line your photographs? A zigzag is a pattern made up of small corners at variable angles, though constant within the zigzag, tracing a path between two parallel lines; it can be described as both jagged and fairly regular. From the point of symmetry, a regular zigzag can be generated from a simple motif like a line segment by repeated application of glide reflection. 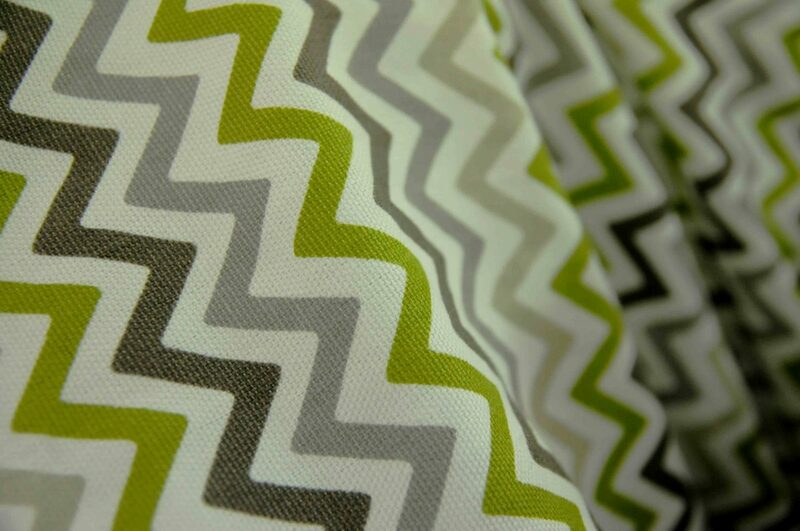 Zigzag began life as an architectural embellishment used in Islamic, Byzantine, Norman and Romanesque architecture. Eventually it made its way into fashion, where it became a machine stitch in a zigzag pattern. A zigzag can also be the trace of a triangle wave or a sawtooth wave, while pinking shears are designed to cut cloth or paper with a zigzag edge, in order to lessen the fraying. In short, the zigzag pattern is extremely popular and flexible enough to be useful in a variety of ways, which makes the issue of the fashion house Missoni and its belief that its own zigzag patterns can be trademarked. Two years ago, the Italian design house Missoni debuted a line of clothing making heavy use of zigzags at the US discount retailer Target. It resulted in website crashes, sell-outs and eBay mark-ups. 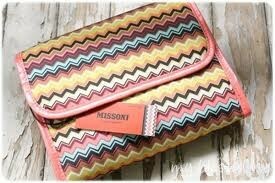 Missoni is a worldwide brand, known for incorporating zigzag patterns into their designs, and even the logo that appears next to their website is a zigzag. Following the success of their new clothing line, Missoni found that a large number of people were looking to cash in on their success, creating very similar designs. This raised the question – can Missoni truly trademark their own designs when they are using a pattern that has been so well established for so many years? One thing we know for sure is that not all clothing with zigzag designs belongs to Missoni because they didn’t invent the concept of the zigzag pattern. Thus they can’t claim to be the source of the pattern, which in turn should mean that the company are unable to protect what they may view as their own intellectual property. 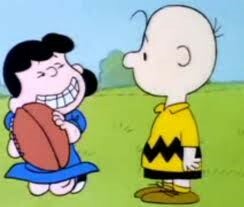 After all, Charlie Brown doesn’t send subliminal coded messages trying to promote Missoni by wearing zigzag patterns. However, individual designs can be protected as trademarks. Thus, if consumers begin to identify the zigzag style of clothing with Missoni, this places those attempting to replicate it in a much more difficult position as Missoni can then claim some form of trademark. The same is true, to various extents, with other patterns. The case, and others like it, lend credence to a bill currently being considered by the US Congress that could see increased protection provided to fashion designs. If the bill passes, it would only provide protection to exactly identical designs. This legislation can provide some protection to Missoni against other users who have identical patterns, but it won’t give them ownership of the zigzag pattern. It’s an interesting time for fashion designers and many will appreciate the extra protections should they come into fruition. In short, it is important to be creative with existing concepts rather than using other people’s ideas and replicating them exactly. When using crepe fabric it is important to note that that there are multiple variations of the fabric, all of which have their own specific uses. Amongst them are canton, crepe-back satin, crepe de Chine, Georgette, marocain, faille, lingerie, mossy, romaine, and rough. Generally speaking the fabric is usually woven with crepe yarn, which is a hard-twist yarn produced either with a higher number of twists per inch than ordinary yarn or with alternate “S” and “Z” twists. It can be made from many different types of fibre, whether natural or man-made, making it an extremely versatile and flexible type of fabric.